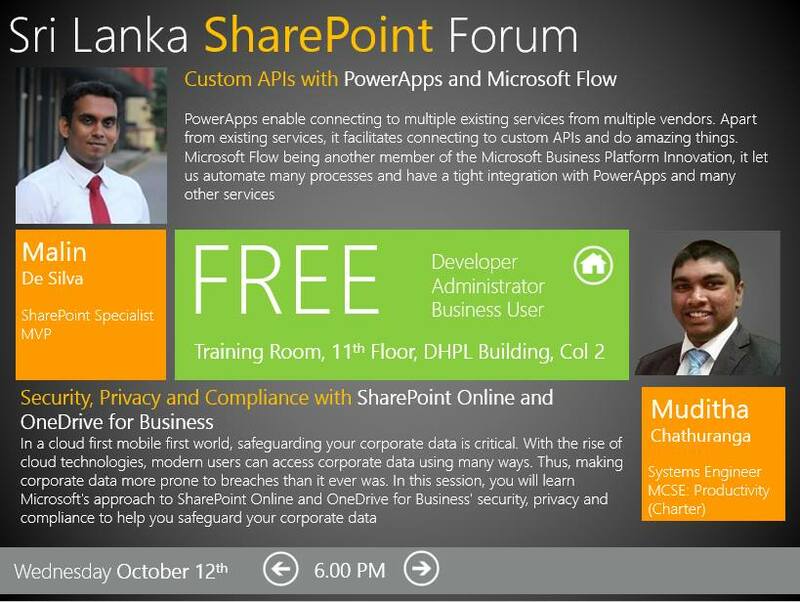 SharePoint Sri Lanka Monthly Meeting for October 2016 was held at Microsoft Sri Lanka on 12th October 2016. This session was an extension to the last session I did on the last month and showed how to display a set of data that is exposed through a Custom API and how to simply get started with Microsoft Flow. 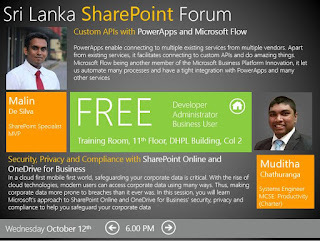 Also spoke about the real world scenarios where Microsoft Flow and it PowerApps together can come handy. Slide deck for the session is available below.